When we hear of deforestation we’re apt to think of Brazil with its persistent denigration of the Amazon jungle. But an equally bad scenario is that of Indonesia, with half its rich forest tapestry now gone and complete decimation a mere decade away, all for the sake of plantation (usually for palm oil) and logging profits. A heartless calamity in the making, it has consequences ultimately for all of us. Consider, for example, that Indonesia ranks third in species diversity after Brazil and the Democratic Republic of Congo. More specifically, it’s home to between 10 and 15 percent of the earth’s known plant, mammal and bird species. It’s also residence for tigers, rhinoceroses, and elephants, increasingly refugees from a reduced or degraded habitat. 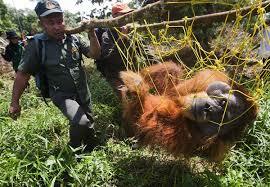 Soon the unique orangutan and Sumatran tiger may vanish into memory. While the central government in Jakarta has tried to impose a moratorium on logging, it goes on unabatedly in many distant local areas where law enforcement is rare. Consequently, Indonesia is now the world’s third largest emitter of greenhouse gases, which promote temperature rise. Financial incentives topping a billion in U. S. dollars are now underway, but their success remains in doubt, given widespread political corruption. What’s going on in Indonesia affects not only many of its citizens displaced by plantations, but the global village as well. Indonesia’s vast peatlands store an estimated 35 tons of carbon. Burn or drain them and you release their warming carbons into the atmosphere. Regardless of the debate, the fact remains of our witnessing forest carnage in places like Brazil, Indonesia, and the Malayan archipelago with resultant permanent ecological loss and diversity reduction with unknown consequences for all of us. If we could invest in humanity’s ultimately viewing its relationship with nature as one of dependence rather than exploitation, then we would surely find our way out of this morass; but this is an unlikely hope, given our seeming inveterate instinct to pursue self-interest rather than collective good, abetted in turn by ignorance and indifference. 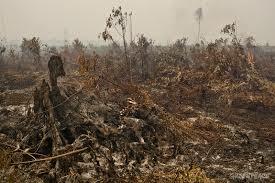 This entry was posted in Environment, Reflections and tagged deforestation and climate change, Deforestation in Indonesia, Global Warming, Indonesia, Indonesian forest diversity, Indonesian logging, Indonesian peat, palm plantations, Reducing emissions from deforestation and forest degradation, Sumatra, Sumatra tiger. Bookmark the permalink. Reblogged Your article here; I hope, it is alright for You! Our words & photographs are our weapon, and we use them!